This template of a car repair garage is best presented on a digital screen placed atop the garage premises or at the entrance. The digital screen will literally light up the vicinity with its brilliance and visual appeal in the evenings and will attract the motorists passing by the premises. The garage owner would do well to advertise it's name & logo on the screen for maximum brand recall and retention. 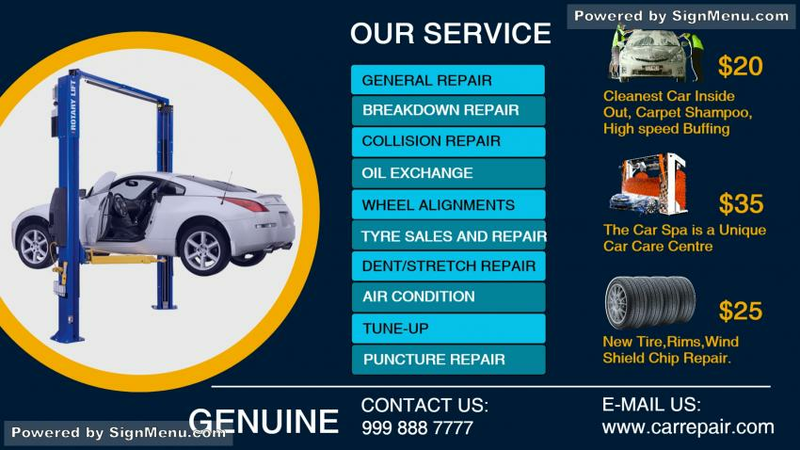 special pricing offers on repairs and up-sells of complimentary products will evoke the interest of customers even more. this template is ready for download and use.